IMPORTANT NOTE: This Product is with RS232 FEMALE End Adapter, Not Male Connector. No Pin inside the RS232 Connector. 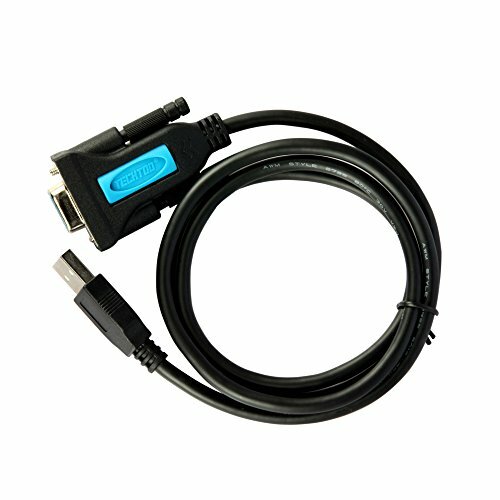 TECHTOO USB to RS232 DB9 Serial FEMALE Converter Adapter Cable is designed to connect serial devices such as PCs with RS-232 ports, Bluetooth serial adapters, PDAs, GPS receivers, routers, firewalls, modems, printers, cash registers, embedded character displays, scan tools, sonar units, embedded boards, etc. The USB RS232A converter features a Prolific chipset for the best combination of performance and wide driver support.and Microsoft signed drivers for 32/64-bit is easy to install and offers broad operating system compatibility, including Windows 8, Linux and Mac OS, for easy integration into mixed environments.Not compatible with ARM-based Windows (MS Surface). If you have any questions about this product by TECHTOO, contact us by completing and submitting the form below. If you are looking for a specif part number, please include it with your message.